Well, that photo might be a slight exaggeration. 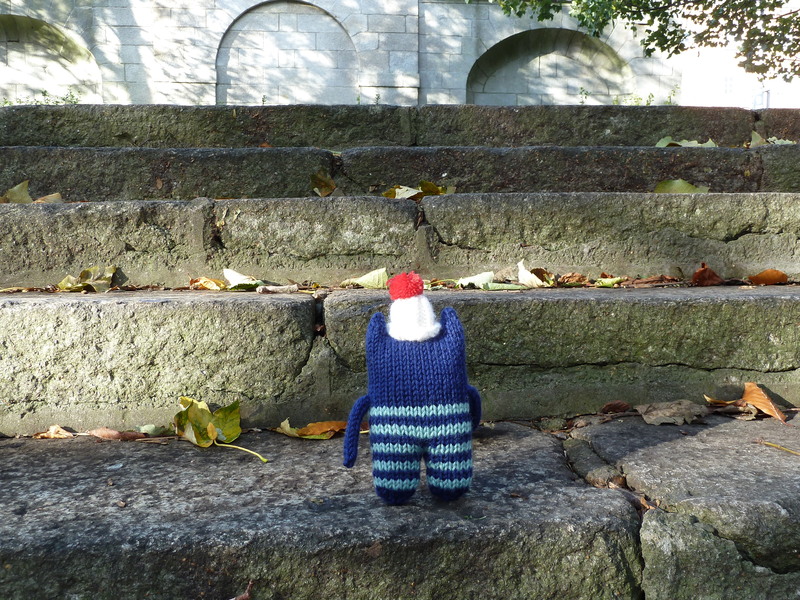 But even so, after a surprisingly warm start to November, it’s got mighty chilly here in Dublin lately! And despite promises of a clear, bright day on Friday, low temperatures and teeming rain did temporarily stop play when Sweetheart Beastie, Christmas Gift Beastie and I headed out for another photoshoot with Eirin Torgersen! Anyone who has spent any time here ever will know that weather forecasting in Ireland is never an exact science, and at least it gave us an excuse to seek shelter in the Natural History Museum for a few minutes until it dried up a bit outside. Just enough time for the Beasties to make a new friend! Once the sun came out again, we headed across the road to Merrion Square, which I’ve been meaning to use for Beastie photos for ages! 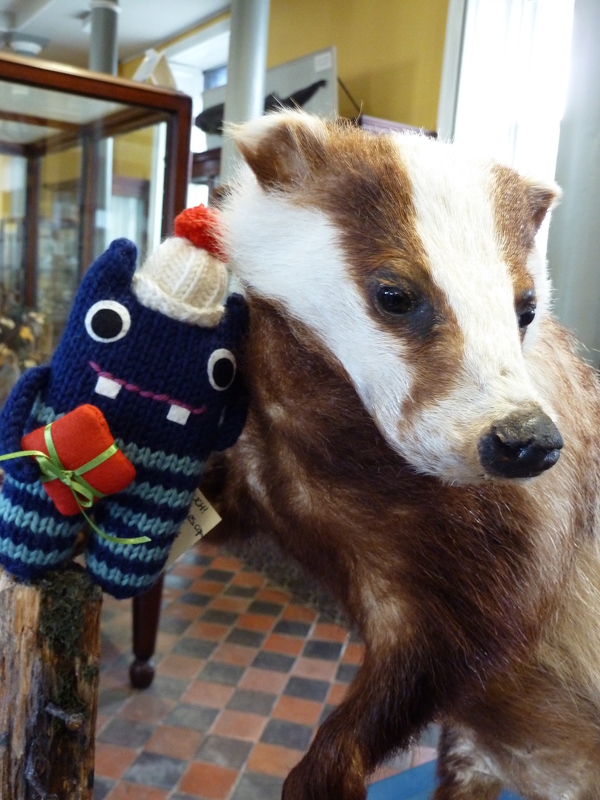 Where’s Sweetheart Beastie run off to? Ah, there she is. But what’s she sitting on? First rain, now giants… will I EVER get any pictures taken?! …And charming enough to win over just about anybody! But we needn’t have worried. 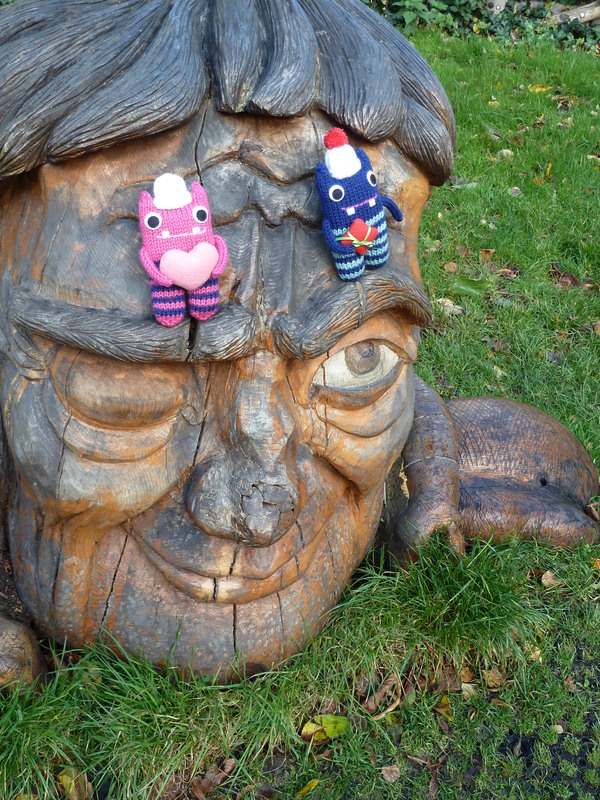 Turns out giants are victims of bad press – this one was a real softie, and he even agreed to let his new Beastie pals dance around on his luxuriant eyebrows for these pictures! 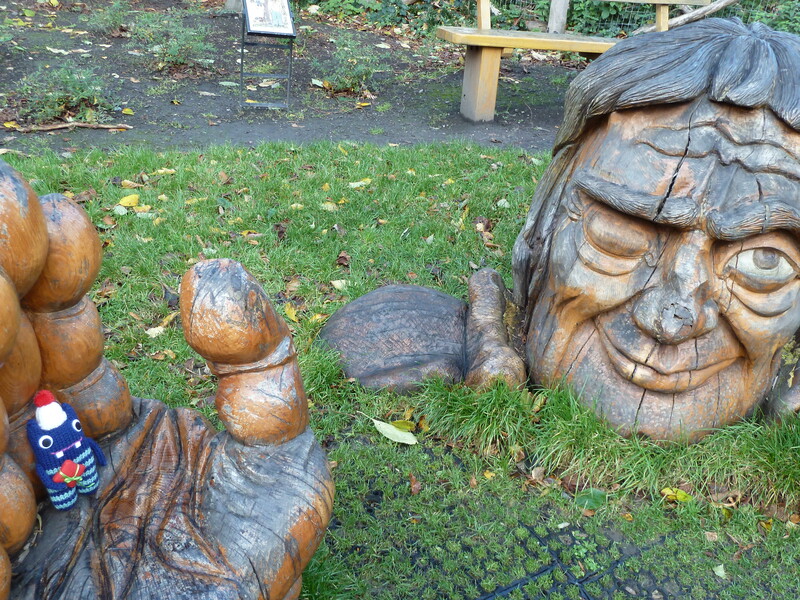 And it’s not just giants who live in Merrion Square – the park has one very famous resident, who we went to visit next! Anyway, can anyone guess who this rather dapper foot belongs to? If you guessed Oscar Wilde, then award yourself a first-edition signed copy of “The Picture of Dorian Gray”! This characterful sculpture lives on the north corner of the park, and from where he sits, he can look out into the street and (I like to imagine) make witty comments about the people who pass by. …Before we headed off inside to warm up. Brrrrr! The Beasties and I will be back for more monster fun next Tuesday… December is going to be a busy month, so things are going to be a little quieter on the BeastieBlog for the next few weeks! If you need an extra Beastie fix in the meantime, be sure to check out Eirin’s photos from our visit to Merrion Square! It sounds like your weather has been much like ours… perhaps all beasties need to be issued with umbrellas! Hmmm, intriguing idea there! If things carry on this way, I might well have to bump this up the to-make list! A little creeped out by the giants but awwww, I didn’t know about the Dermot Morgan memorial – nice to see! Ha! I was a little unsettled by the giant myself at first, but he does grow on you. And it’s great to see another Father Ted fan out there 😀 I must have seen all the episodes about a hundred times, but I’ll still watch them again if they’re on TV! This is great…can’t wait for more from the Beasties. Heehee, glad you enjoyed your visit… Thanks for stopping by!